Creativity is found outside your normal box! Staring at your own trade show and exhibit booth all day and trying to decide what it is that’s missing, or what you can do better might result in drawing a mind numbing blank. It is not easy to quickly generate creative ideas to refresh the look of your exhibit and display program. Sometimes it is difficult to get creative ideas in the office too! Personally, I always feel more inspired when I get outside; fresh air and observing nature work for me. Hike, bike, kayak…any of these three activities will do when I am trying to get my mind to think outside the Monday thru Friday, 9am-5pm box. Maybe outdoor adventure is not your thing and you are more of a museum of fine arts type of person – that is good medicine for inspiring creativity too. There is no doubt that visiting the traveling Chihuly or Egyptian artifact exhibits can work wonders too (just be reasonable with your expectations and time tables if you want blown glass and pyramids)! Often your best ideas don’t come when you are alone but when you are with a group of other folks who also value creativity and enjoy finding inspiration from serendipitous situations. What does this mean in the display and exhibit world? You need to work alongside folks who can produce exhibits with a healthy mix of consistent, tried and true principles of design and just enough out of the box thinking to create the proverbial “wow factor”. We know that your boss may not take kindly to you checking out to go on a rambling bike road trip midday on a Tuesday so… We’d like to help! No, we are not arranging a kayaking trip down the James with you (although that is highly recommended); but, we can suggest you take a break from staring at trade show booth selfies and jumpstart your creativity with our latest custom exhibit photo gallery additions . We challenge you to peruse some unique ideas from around the globe and get your creative juices flowing. Start here: https://www.markbricdisplay.com/solution/custom-exhibits/ with our new custom display page’s photo gallery (you can find it near the bottom of the page, just scroll down). Pick an element or two that you like from each display and pin them to your Pinterest boards or make a mental note so that you can call our designers and start a dialogue on how we can turn what you can imagine, into reality. Not great at visualizing? 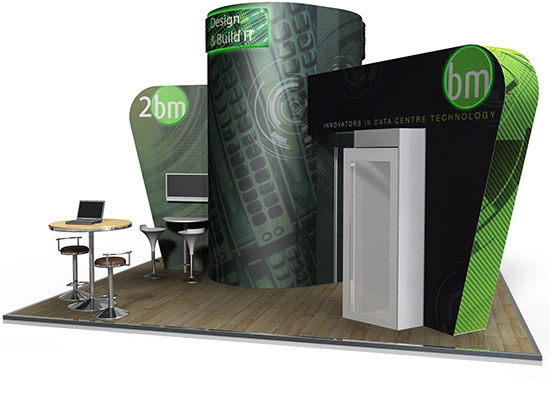 We can help: click this link to receive free, full-color 3D rendering service with your exhibit display quote. After all, sometimes, like Jack London said, “You can’t wait for inspiration, you have to go after it with a club.” What are you waiting for? Get about the business of being creative…or at least give us a call and we’ll do most of the work for you! – By Stacy D. Poole, Marketing Professional at Mark Bric Display Corp.